Following his nomination by the SMA Provincial Leader and the Appointment Letter of the Bishop of Cork, Bishop John Buckley, Fr Noel O’Leary has begun his pastoral ministry as Parish Priest of St Joseph’s parish, Blackrock Road. He is assisted by Fr John Horgan, SMA,[pictured below]. Fr Noel takes over from a ‘son of the parish’, Fr Tommy Wade, who has been PP for the past nine years, since 2005. Fr Wade will now take a Sabbatical break before his next appointment. 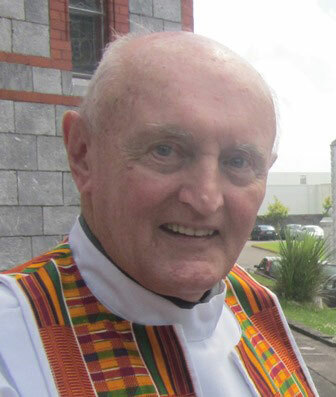 His appointment is tinged with sadness as the SMA and the parish mourn the untimely death of Fr Tony Butler SMA. May Fr Tony rest in peace and pray for us all from his place of rest. 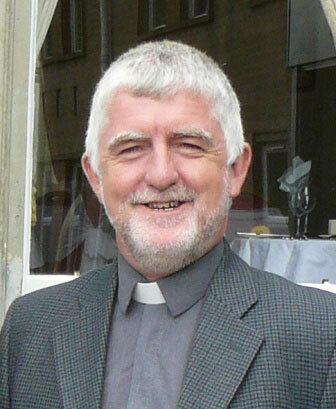 Fr Noel, a native of Bantry, is one of a family of eight. He did his primary and secondary schooling in Bantry before qualifying as a Chef in Rockwell Catering College, Co Tipperary. From 1974-1978 he worked as a Chef in Germany and then returned to Ireland to work. After four years as a Chef he decided to become a missionary priest. He joined the SMA formation programme in Wilton, Cork and completed his Philosophy and Theology studies in SMA House, Maynooth. He was ordained a priest in his home parish on 2 June 1986. Fr Noel spent 25 years on mission in Nigeria, where he served in several parishes in Ijebu-Ode and Lagos dioceses. From 1998-2004 he was the Rector of the SMA Formation House, Ibadan, where the SMA trained young Africans who wanted to join the Society and share in its mission of evangelization. After this appointment he returned to the Archdiocese of Lagos where he was responsible for one of its largest parishes – the parish of the Assumption, Falomo. Fr Noel also served as Superior of the SMA House and Conference Centre in Dromantine, Newry [2008-2009] and since last December was Curate in Goleen. He now leaves the familiar and beautiful surroundings of west Cork for ‘city life’ on Blackrock Road!